Affordable Care Act brings crucial health coverage to jail population - The Bail Co. Under the Affordable Care Act, an estimated 4 million people who have spent time in jail will have better access to health coverage for conditions that might -— if left untreated -— result in higher health care costs and an increased risk of recidivism. Jails, unlike prisons, typically house offenders who have been detained or arrested by the police — often for misdemeanors or nonviolent crimes. In many cases, people who are mentally ill, have substance use problems or are homeless and picked up and sent to jail for a short period and then quickly released back into the community. Without follow-up care or treatment they are at risk of another arrest and the cycle repeats, according to the authors of the new report. Under the Affordable Care Act, an estimated 4 million people who have spent time in jail will have better access to health coverage for conditions that might — if left untreated — result in higher health care costs and an increased risk of recidivism. That’s the conclusion of an analysis by researchers at the George Washington University School of Public Health and Health Services (SPHHS). “Health reform gives people with a history of jail time access to continuous health care for the first time ever,” says lead author Marsha Regenstein, PhD, who is a professor of health policy at SPHHS. “The hope is that such coverage will help keep individuals and entire communities healthier and reduce the nation’s health care costs.” The report appears in the March issue of the journal Health Affairs. Jails, unlike prisons, typically house offenders who have been detained or arrested by the police — often for misdemeanors or nonviolent crimes. In many cases, people who are mentally ill, have substance use problems or are homeless and picked up and sent to jail for a short period and then quickly released back into the community. Without follow-up care or treatment they are at risk of another arrest and the cycle repeats, according to the authors of the new report. Counties, cities and other localities operate more than 3200 jails across the nation and they are responsible for providing some level of health care to inmates while they are incarcerated. “The Affordable Care Act doesn’t change that responsibility but it does mean that many in the jail population will be able to get health coverage before and after time spent in the local jail,” said co-author Sara Rosenbaum, JD, the Harold and Jane Hirsh Professor of Health Law and Policy at SPHHS. Medicaid does not provide coverage for people serving time in jail. The Affordable Care Act does nothing to change that situation. However, under the ACA people with a history of a jail stay may be eligible for Medicaid coverage upon release — particularly if they live in a state that has opted to expand its Medicaid program. According to the analysis an estimated one out of six people expected to enroll in Medicaid under the new state expansion programs will have spent some time in jail during the past year. To date, 25 states and the District of Columbia have expanded Medicaid programs to cover more of the low-income population. And this report says another one out of ten people enrolling in health plans under the insurance Marketplaces will have a history of a recent jail stay. Under the ACA, people who are poor but still do not qualify for Medicaid can often purchase an affordable health plan by going to the online insurance Marketplaces. The promise of continuous coverage would mean that people with serious mental illness or substance abuse might get medication and treatment that would help them stay off the streets — and possibly out of situations leading to an arrest in the future. About 64 percent of people incarcerated in jails meet the criteria for mental illness at the time of their booking and the same high number have problems related to alcohol or drug abuse, the authors note. But such positive outcomes can be expected only if community jails, insurers, and health care providers work together to coordinate services so that people coming out of jails can sign up for Medicaid or a qualified health plan and then get an appointment quickly at the local clinic or health care provider, Regenstein said. In some cases, jails identify chronic health problems and provide health care for inmates. But they rarely connect with or have ties to providers in the community, Regenstein says. Without those ties and the resulting treatment inmates can be released with an infectious disease or health problem that goes unaddressed and then worsens or even spreads to others. While most jails still rely on paper records, the use of electronic information exchanges could help ensure a healthy and smooth transition to the community, the authors contend. Such electronic health records could follow the patient once they are released or vice versa. 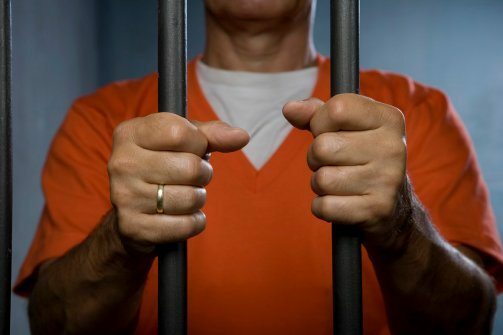 Providers in jail or in the community could then follow-up on a patient’s chronic condition such as diabetes or asthma and ensure that medications or treatments are available before, during or after a jail stay. Finally, jails are realizing they must work closely with Medicaid offices and health insurance navigators in order to identify and enroll people who qualify for health plans. The challenge is that jails have limited staff or resources for this kind of outreach, the authors said. There are also many logistical barriers that make it hard for jail inmates to produce the kind of documentation they need to qualify for and enroll in a new health plan. The above story is based on materials provided by George Washington University.